This set includes enough scenery and 3D counters to enhance your games of Hellboy: The Board game. Contents: 4 Target Priority Busts, 9 Flame Markers, 1 Impending Doom Token, 1 Information Gathered Token, 8 Investigation Tokens, and 10 pieces of Scenery. 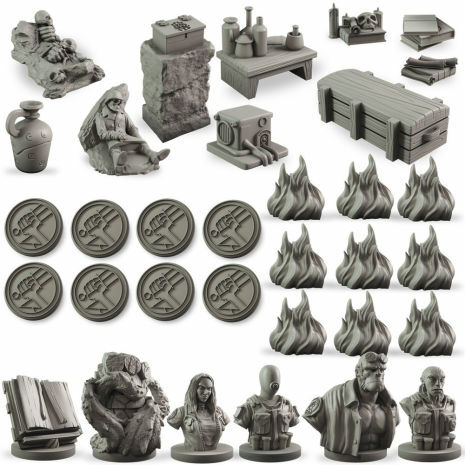 Miniatures are made from plastic and are supplied assembled and unpainted.